3. Steam the spinach together with the diced onion. Flavor with salt and pepper. 4. Grease a medium sized baking dish with olive oil. Cut the cooked potatoes in slices and put half of them inside the baking dish. 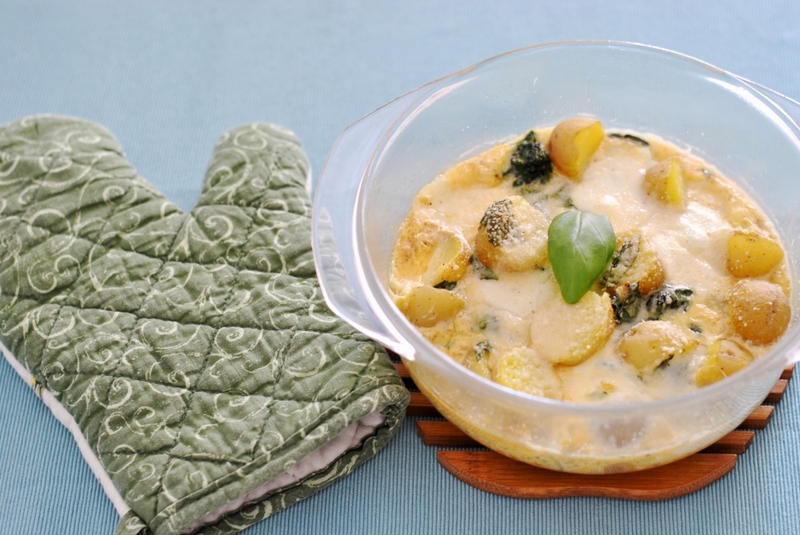 Put the steamed spinach on top and continue with the remaining potatoes. 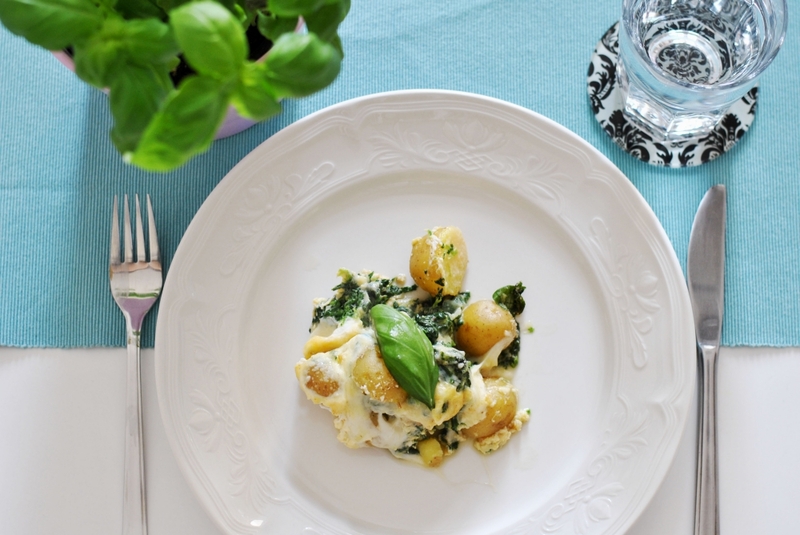 Cut the mozzarella in small slices and spread them on your potatoes. 5. 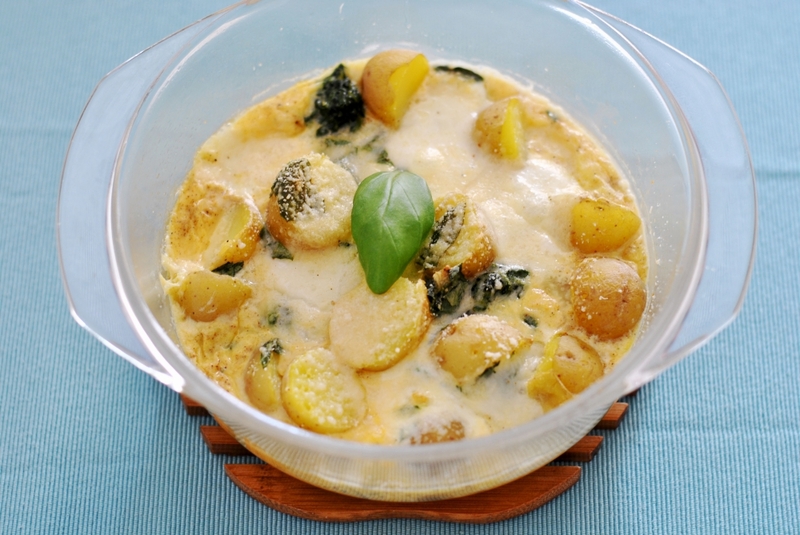 Mix the eggs, cream, cut basil leaves, salt, pepper and nutmeg and pour it inside the baking dish. 6. Top it all off with some parmesan and bake for at least 30 minutes. Hands up who loves spinach as much as I do? Will you give this recipe a try? Believe it or not but it's under 500 kcal! 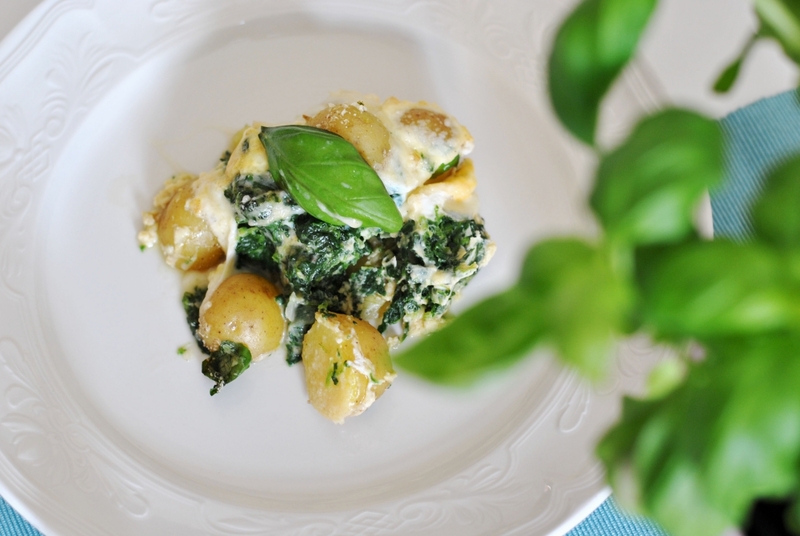 I LOVE spinach and this look delicious!! this looks like a great dish! Tolles Rezept, hört sich echt gut an! Oooh yum. I love spinach, though I've never tried creamed spinach though. Don't think I've ever even seen it in supermarkets over here either. We are the same. I never ate spinach as a child. It is only now, as an Adult, that I eat spinach. Your recipe looks so delicious. Oh my gosh!!! This looks so good! Why am I reading this? I just got my wisdom tooth out and supposed to stick ti liquids for two days ;( Haha I will have to pin for later ! Oh das sieht so wahnsinnig gut aus und ich LIEBE Spiant so sehr! Könntest Du bitte bei mir vorbei kommen und das kochen ;-) Die Bilder sind so wahnsinnig schön geworden! Absolutely yummy! If I were you, I'd get a steak of salmon and pan sear it to go together! It would work very well but otherwise this recipe is delicious by itself! It has everything I love! 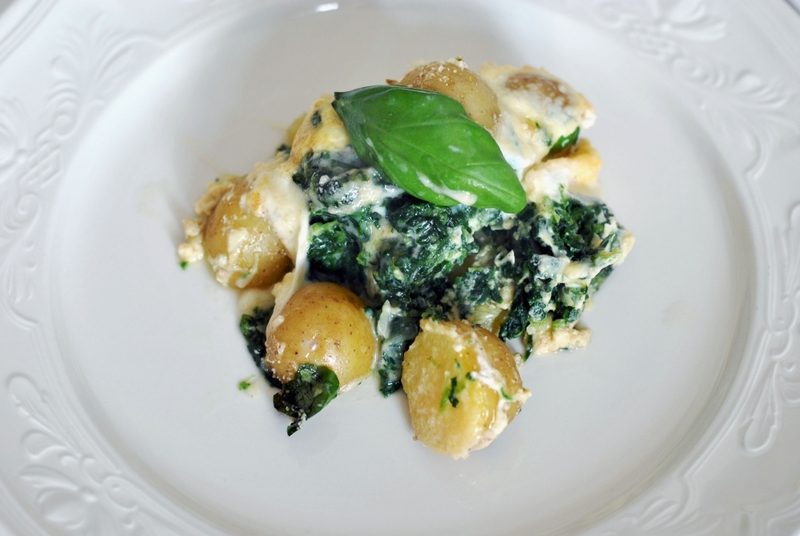 What a great way of incorporating spinach into your diet. 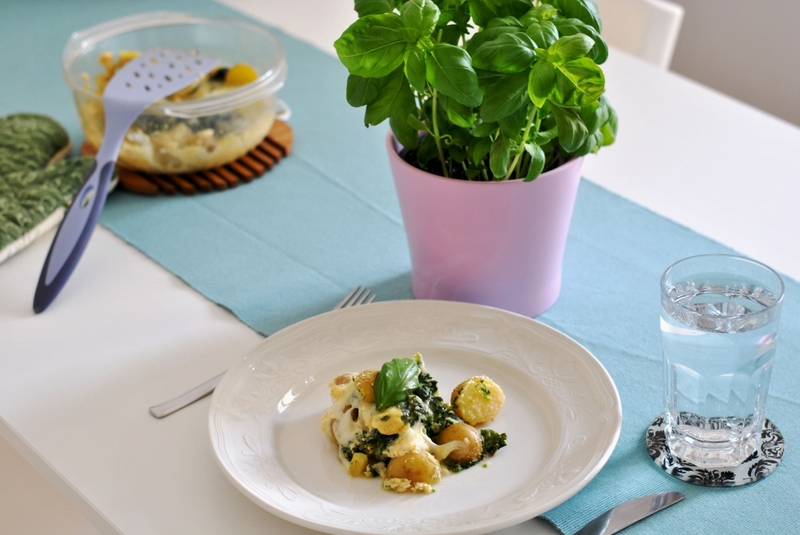 Yes, spinach is one of the few vegetables that I really enjoy as well! The dish you made looks very good indeed.